The Sa Pa winter festival 2018 is underway in Sa Pa town, the northern mountainous province of Lao Cai with a wide range of splendid activities. 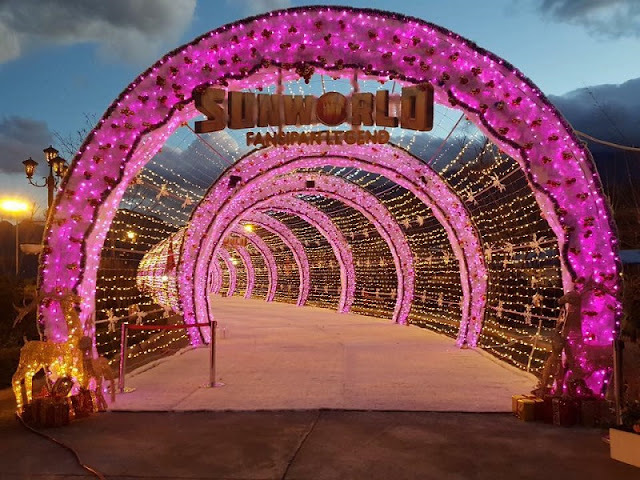 Giant sparkling Christmas trees in Sun World Fansipan Legend and a 50-metre winter path are expected to lure thousands of visitors to the town. Furthermore, a festival to discover snow in Sa Pa from December 24-31 will give visitors a slew of impressive check-in points. Also, they will be indulged in local cultural space with various staples and fascinating tradition of ethnic minority groups in the town. This is the third year the event has been held, becoming a new impressive and attractive tourism product of Sa Pa. Located 350km northwest of Hanoi capital city, Sa Pa is 1,600m high above sea level, with the average temperature of 15-18°C. The whole town is dominated by the Hoang Lien Son mountain range which is famous with the Indochina’s highest mountain of Fansipan at a height of 3,142 m above sea level. This is the best time to explore Sapa with the highlight of the festive season. If you are a culture lover, Sapa is a destination not to be missed in this December holiday.